Hive allows you to easily connect to your Zoom account for seamless video conferencing. You can turn your messaging conversations into a video chat in seconds. 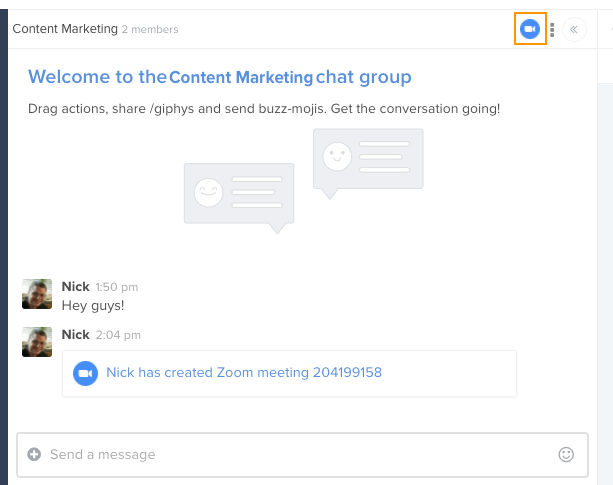 There are three ways to instantly create a Zoom video meeting in Hive.